- How did European mariners chart unknown coastlines all around the world? Out-of-the-box thinking: who is not familiar with this term, often highly praised and deemed highly desirable? If this is indeed the case, one may wonder why this way of thinking would be so exceptional. In other words: why would many people appear to be thinking mostly within boxes? As soon as one asks that question, the answer is clear: we are taught to do so as soon as we go to school, and perhaps even earlier than that. At primary school we are all taught writing and reading as well as elementary math, and a little later also history and geography. All neat little boxes, for sure, while it is obviously important to acquire these skills. While getting older and progressing through education, the boxes multiply and diversify. Soon, choices for certain boxes will have to be made while others are abandoned, or assigned lesser importance. Depending on the schooling system, these boxes are sometimes placed within a wider context, such as doing math while dealing with daily situations, or reading about history, or about fictional events. Yet even with such lofty efforts in most schools these skills remain packed in rather tightly closed boxes. 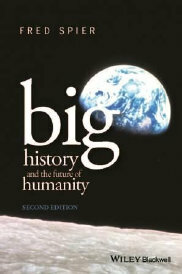 Rarely, if ever, such topics are placed within the larger context that we are all part of: human life and its history. Surely, for doing a task well it is important to concentrate on the details. That holds true for all human efforts. Yet by only concentrating on the details, the context may get lost, and, as a result, also much of the meanings these tasks may or may not have for young people. Why, for instance, would it be important to learn how to read and write, and why in certain ways? Why would we need to learn math? The general answer to all these questions is, I think, that these are all efforts to solve problems of daily life. But which problems, and why would they be relevant today? Discussing such aspects in class may seem like a huge task while providing a totally unnecessary context. But by not providing the younger generations such a context we train them to perform their tasks only within these boxes. Is it a surprise, then, that after having been trained for at least 15 years (3/4 part of their lives) in such ways, many of our students may find it difficult to think out-of-the-box? They have been taught to do exactly the opposite, which has been rewarded, while they have received very few rewards, if any, for thinking out-of-the-box. Perhaps some of these youngsters may even have been punished for thinking out-of-the box during their education, because by doing so they would not stick to the preprogrammed schedules or stay within their assigned boxes. If all of this is correct, such students may feel very reluctant to think out-of-the-box, especially within educational settings, even when encouraged to do so. How could we improve this situation? We could consistently focus on both the details and the context. We have to get the details of certain tasks right, of course, but we may also want to provide a meaningful context in terms of the usefulness of those particular tasks for human existence. So it should not be either details or the context but both: zooming in and out according to the situation, including reacting to the questions asked by young people. It seems to me that big history –for very young people in a simplified form– can offer such a unique context, because it provides the biggest possible overview for zooming in and out. Of course, it is not always necessary to go back to the big bang. One may do one’s cherry picking depending on the situation. In big history there are lots and lots of cherries to pick from. Unlike any other academic approach to human orientation, big history offers such unique possibilities. So why would we need to learn how to write? Just pick your answers from big history, I would suggest, depending on the situation, and go from there, depending on the questions asked by the young people and their comments. In so doing, all these boxes would become porous and potentially interconnected, while they are surrounded by the general context of big history (that is always open to further discussions, research, and interpretations). As a result, the term out-of-the box thinking would begin to lose some of its urgency, because the young people would be encouraged to do so as soon as they start learning at school, and thus would develop such skills from very early on. Such an approach may unleash an incredible wave of creativity. That is exactly what I am seeing while teaching big history for small groups. It often takes some time for this to happen, because most students are not used to thinking along such lines. But as soon as they get the hang of it, there is no way of stopping most of them while pursuing their intellectual interests wherever they may want to go.